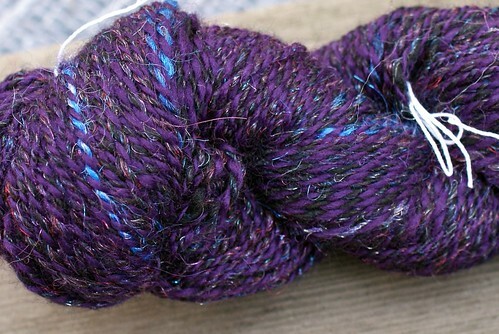 Spinning yards and yards of yarn | Oh! What a wicked web we stitch! 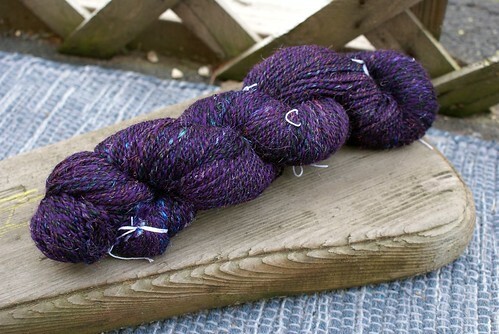 This entry was posted on May 24, 2010 at 3:46 PM and is filed under Spinning, Uncategorized with tags fibers, merino, ravelry, Spinning, tour de fleece, wool, yarn. You can follow any responses to this entry through the RSS 2.0 feed. You can leave a response, or trackback from your own site. I’m so happy you joined! There’s nothing like a little competition to build your skills and your confidence. Congratulations and I’ll see you at the race!